Candice and Gavin are so much fun to be around and make the cutest couple, which is a perfect combination! These two are such naturals in front of the camera that by the end of their session I knew I was going to have a tough time narrowing down my favorites. I love the way they interact and kept each other laughing. With a February engagement session in South Carolina, the weather can be a little unpredictable, but we lucked out with a beautiful warm sunny afternoon. We started the session at the State House, which is one of my favorite locations in Columbia, SC for engagement photos. We had a great time wandering around the grounds and up the steps. Next, we headed over to the gardens outside of the Lace House. I love how even in the winter, there is still plenty of green and flowers blooming. 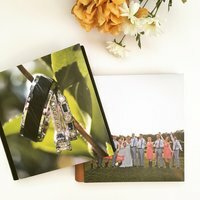 Enjoy some of my favorites engagement photos. I can’t wait until their December wedding at 1208 Washington Place! Very nice, beautiful Couple!! Wishing you both the best for a Happy and Long Life together.